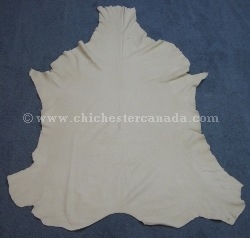 This is TOPGRAIN deerskin leather--often called Buckskin as well. It has a smooth side (skin side) and a rough side (suede side). 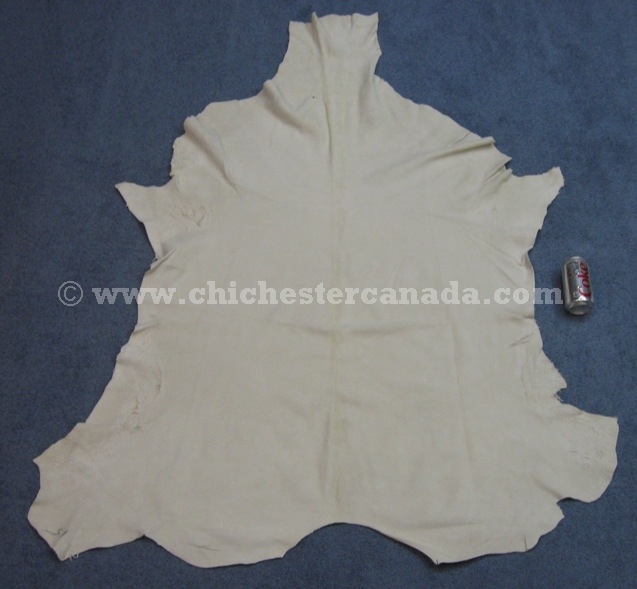 We sell the garment grade red deerskin leather by the full hide. The full hides vary in size from about 14.5 square feet to 20.5 square feet. Each hide is marked with its size. We can usually select either small, medium, or large hides according to your wishes. We will not cut hides to measure or select just the best hides. The leather must be specially treated when being tanned in order to get the crisp, white coloring in this grade. Genus and species: Cervus elaphus. Ranch. Red Deer are not endangered and are not subject to CITES controls.